The image of white-haired grandparents happily ensconced in rocking chairs on the front porch doesn’t exactly portray what today’s 55-and-over crowd pictures for their own retirement. Most people don’t envision their busy lives coming to a complete standstill—just the opposite. Many hope to embrace a full schedule filled with education, exploration and exercise. If you’re pondering where to land once you’ve walked away from the workplace, consider what Atlanta has to offer. The city’s combination of financial incentives, natural beauty and outstanding active adult communities makes it a highly attractive retirement option. Here, we look at five particularly great reasons to make Atlanta home base for your golden years. Compared to other states, Georgia ranks third in the “best place to retire” competition, according to Kiplinger’s “State-to-State Guide to Taxes on Retirees 2017.” The region’s cost of living is a full seven percent below the U.S. average. Healthcare expenses are particularly affordable here, with the sixth-lowest average costs in the country for a retired couple. Additionally, Social Security income is exempt from state taxes in Georgia and, for most retirees 62 or older, many forms of retirement income, like pensions, annuities and rental income, are not taxed. There are also property tax breaks for seniors; for instance, homeowners 62 and older who earn $10,000 or less are exempt from school taxes. Combine all this with a lower-than-average state sales tax and an income tax rate that hovers around five percent, and you’ve got a very favorable financial environment for retirement in the Peach State. 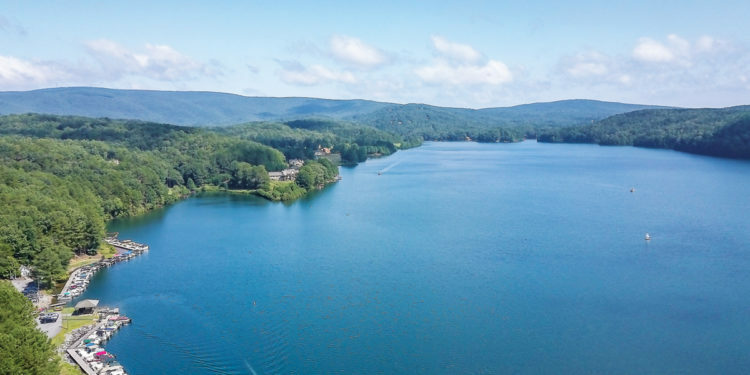 For retirees who enjoy spending time outdoors, Atlanta’s profusion of parks is second to none, many with extended nature trails weaving in and out of tree-lined neighborhoods. The city is known for its abundance of forested property, populated with magnificent specimens of live oaks, magnolias, maples and redbuds—trees that put on quite a show with fall color and spring blossoms. None of it would be possible, however, without the region’s ample rainfall (averaging 47 inches per year) and an average of 60 percent sunny days annually. And while temps can dip in the winter (the average low is 52.5°F), the climate here is mild and exercise-friendly. 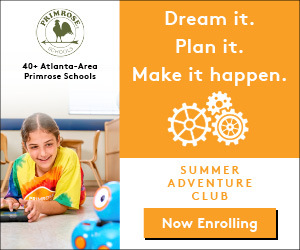 According to 55Places.com, a website devoted to promoting adult living communities, there are more than 70 active adult communities for those 55 and older in the Atlanta area (and that’s not including the dozens currently under development). In an effort to attract today’s soon-to-retire market, active adult communities in Atlanta have stepped up their game, offering more than just verandas lined with comfortable rockers. They emphasize the concept of easy, energetic living: plenty of onsite activities, great access to attractions in the city and low-maintenance, resort-style design features both inside and outside the home. Additionally, most of them also tout neighborhood amenities rivaling those of resort destinations (which we’ll discuss in a moment), allowing residents to enjoy exceptional activities just feet from their front doors. 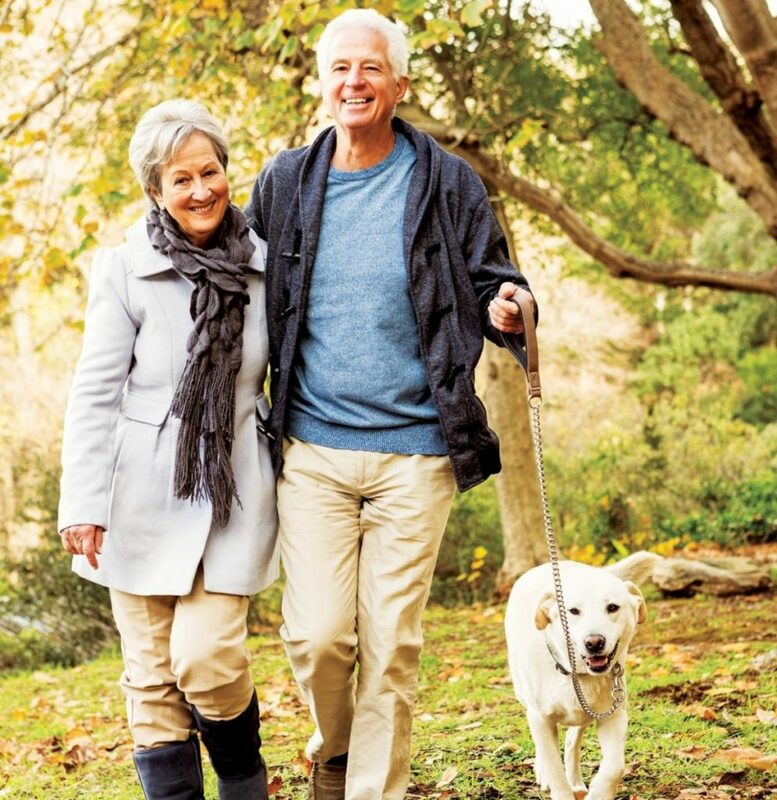 And whether you’re in the market for a post-retirement home tucked in a forest or you see yourself enjoying the view from a high-rise condominium balcony, you’ll find a huge range of choices in adult living communities to match your vision. The age-in-place movement has ushered in thoughtful interior and exterior design elements focusing on the needs of seniors in their living spaces. 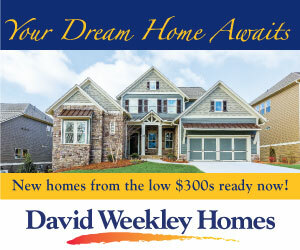 In the case of retirement-friendly communities in Atlanta, easy-accessibility features are abundant. For instance, options like zero-entry shower stalls and elongated, comfort-height toilets are built into bathroom designs at Soleil Laurel Canyon in Canton. 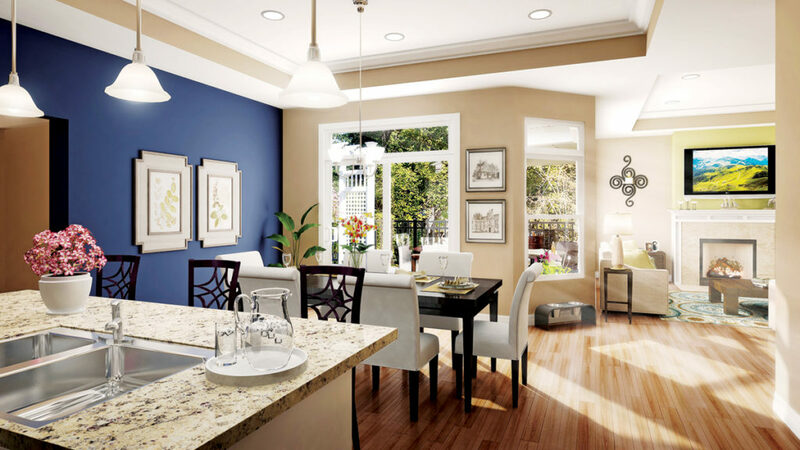 Features that reduce the amount of home maintenance necessary also appeal to empty nesters. At Windmill Park at Brown’s Farm in Carrollton, all lawns are maintained by the homeowners’ association. Also, the community’s homes are constructed using fiber cement “wood,” formulated to resist damage from moisture, freezing temps, humidity, pests and fire. Less potential for damage means fewer home maintenance chores to worry about. It’s this attention to detail that can make all the difference to homeowners over the age of 55 who want to enjoy a worry-free lifestyle. For activity options, numerous active adult communities in Atlanta have you covered. Developments like Soleil Laurel Canyon employ a full-time lifestyle director who oversees a multitude of programs for residents; the community offers classes through Kennesaw State University’s Osher Lifelong Learning Institute at the community clubhouse, where you can learn to write a book, delve into Civil War history or master card games by the pool. Amenities like a billiards room, pickleball courts and a private golf course also entice those seeking group activities. The lifestyle director at Lake Arrowhead near Waleska manages the waterfront community’s bustling social calendar, complete with exercise classes, events and seasonal workshops. 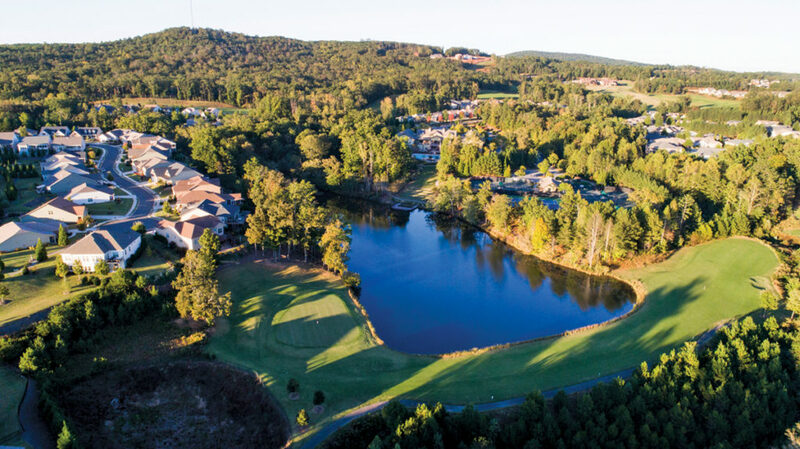 And NatureWalk at Seven Hills uses golf cart paths to connect neighbors and provide quick access to its amenities, including clubhouses, a community garden, dog park, tennis center, playground, Disney-style water park, volleyball court and amphitheater. And throughout metro Atlanta, you’ll find these types of first-class features, which can transform a community into a bona fide retreat.